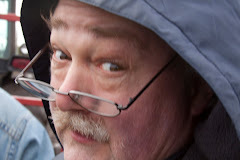 Time seems to be fleeting again, and I really want to get another set of song-poems out there before the month ends in three hours or so. I had one post ready to go, then found out that the song in question was readily available on youtube. So I've grabbed a record by one of my favorite singers, Norm Burns, and am offering it up instead. It's Sterling Records' attempt at a Gospel feel, not terribly successful, I'd say, but I almost always find Norm worth hearing. 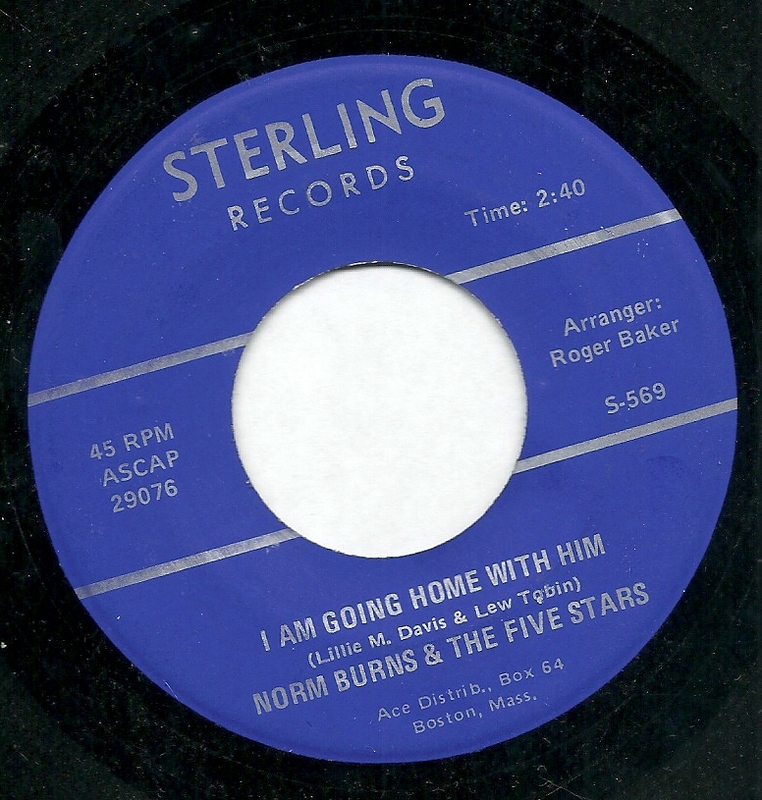 Here's "I Am Going Home With Him". I won't be surprised if the flip side is the preferred one for many listeners. "My Broken Heart Will Heal Someday", is a fairly bland, midtempo thing, but there's some stellar drumming going on, and the little fill in melodies (and the song melody itself) are not too shabby, at least in places. In other places, particularly at the section starting at 1:48, the construction is laughably bad. But honestly, mostly I just really dig the drumming. 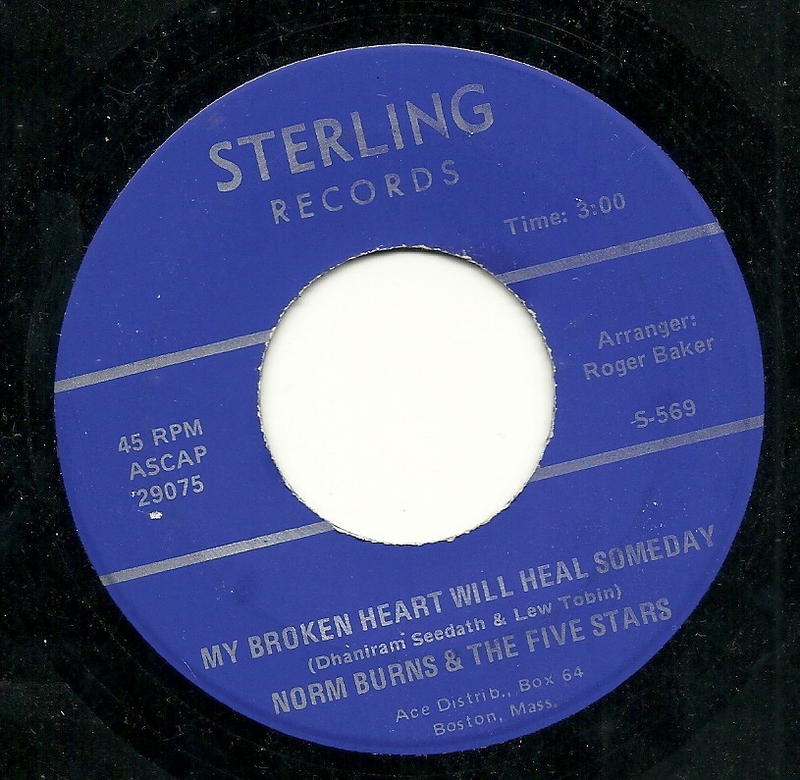 Download: Norm Burns and the Five Stars - My Broken Heart Will Heal Someday. Thanks for posting these. The a-side is interesting to me because mostly sociologically...since it's from 1972, it's smack in the middle of there being records about Jesus on the charts. So it does have that somewhat poppy touch. The b-side is a cool idea and an okay song with a decent arrangement. It's country/soul by people with little experience playing either genre, and that makes it at least different...you are right about the drummist, who's doing some really cool stuff. He (she) does fall apart at a few critical times.